Is 7:30am too early to be testing brandywine. Maybe. But rather than putting a penny in the old man’s hat why not a nice glass of apricot brandywine, to warm his bones? As I write this, it’s December 2. That leaves just enough time to make this for the holiday season. Maybe not in time for Christmas Day per se, but for Christmas week, or most definitely for New Year’s Eve. I can’t believe I just wrote that. Another year has flashed by. When will the time slow down, if ever? Anyway, enough griping about time. I should just have a glass of apricot brandywine and even forget what day it is, rather than just what time of year. This stuff is not what you buy in the store as Apricot Brandy. That is 24% alc.vol. I figure mine comes in at about 16%. Still dangerous, but less so. I think it's better. 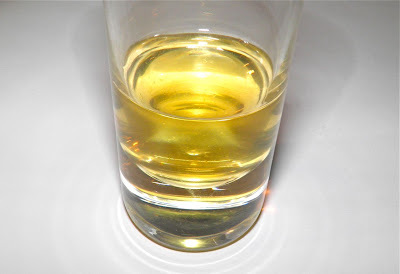 Did you know that brandy is actually distilled from fruit, as opposed to grain? Some of the usual culprits are apple (Calvados), fruit like blackberries or currants, and grapes (brandy, cognac, armagnac). The Dutch name for this product was "bradwijn," meaning "burned wine," and later became "brandy. Since we’re not actually creating brandy from fermenting apricots we’ll have to settle for infusing existing brandy with apricot flavour. It’s actually very good, with a definite apricot taste on top of sweet wine. So be careful in what wine you buy. This isn’t as intense an apricot flavour as “apricot brandy” but is an excellent thing to make purely for itself. It’s also a wonderful gift to receive, or to share with friends. 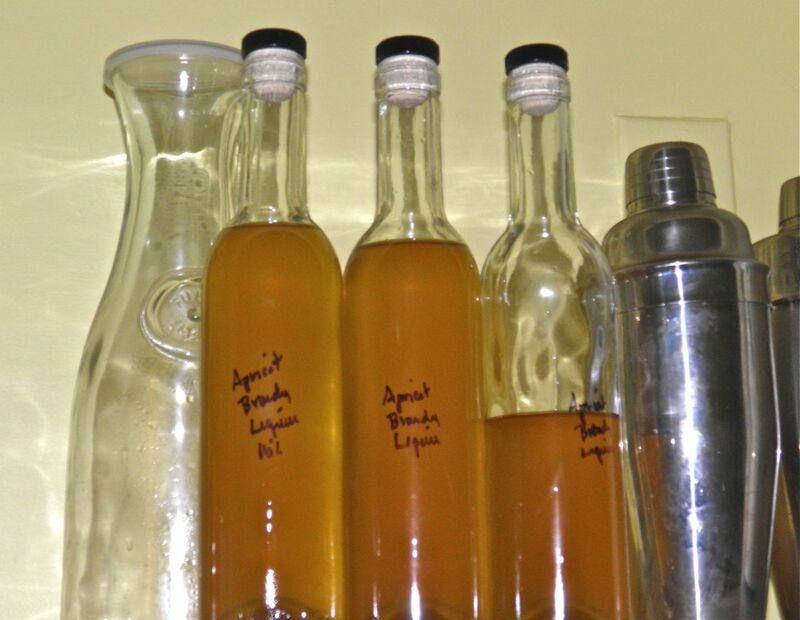 It’s not a strong enough alcohol taste to be used in apricot brandy cocktails like a Sidecar. Try it room temperature in a nice brandy snifter. By the way, save the apricots. I’ll show you what i did with mine tomorrow. 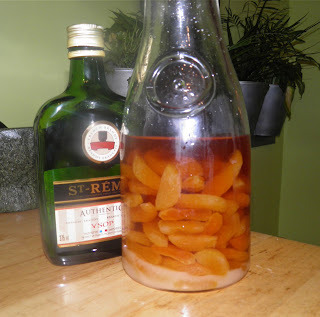 Mix together the sugar, apricots and brandy in a Mason jar. Let sit in a cool place for 3 weeks. Shake daily until the sugar dissolves. After the 3 weeks, strain the mixture, reserving the apricots for another use. Measure the liquid in a large measuring container. 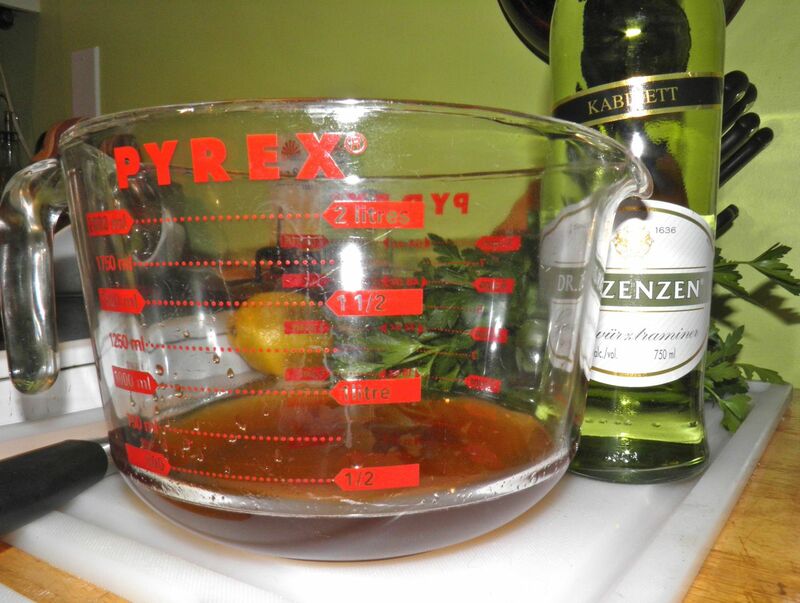 You should have about 1-3/4 cups of infused brandy. Add the remaining 1/2 cup sugar and stir until it dissolves. Top with the Kabinett to make 1 L. Stir to mix. Bottle and let sit for a further week before using, but can be used sooner.